When I tell a man newly diagnosed with prostate cancer that he doesn't need treatment, I am sometimes confronted with surprise, anxiety, and confusion. These reactions are common because of general fear of the "big C" and perhaps the knowledge that prostate cancer is responsible for more than 25,000 deaths per year in the United States. Despite a risk of death for some men with prostate cancer, many prostate tumors are slow-growing and do not pose a threat to a patient's life. Today we have better tests to help differentiate between the indolent and more lethal prostate tumors. Over the past few years, clinical trials have suggested that surgery and radiation do not prolong life for certain men with less aggressive prostate tumors. Furthermore, treatment with surgery and radiation can be associated with significant side effects—like loss of control of urine and decreased sexual function—that are often temporary, but can persist for life. Winship urologist Christopher Filson treats patients with prostate and other urologic cancers and specializes in robotic and laparoscopic surgery. He has a particular interest in individualized treatments and the use of active surveillance. Based on this recognition of the less-aggressive nature of many prostate tumors, there has been a growing acceptance of close observation of men with low-risk prostate cancer called active surveillance. This is a surveillance strategy that still maintains the opportunity to cure the cancer with treatment, should the need or desire arise. It is important to acknowledge that this type of observational strategy does not mean urologists turn their back on patients and their disease. On the contrary, it is a dynamic approach that involves frequent monitoring of the cancer to ensure the tumor is under control; this often entails getting blood tests twice a year, and undergoing repeat biopsies every one to two years. 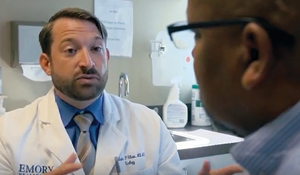 This approach has allowed thousands of prostate cancer patients to maintain their quality of life and avoid a major impact on their sexual and urinary function, which often will occur with definitive treatment. I have taken care of men who have avoided side effects for years and have felt that the monitoring had a minimal impact on their quality of life. Though promising for many, active surveillance is not for everybody. Notably, the choice to pursue active surveillance is a shared decision between the patient and physician, and must align with a patient's beliefs and ability to cope with an untreated cancer. It is also important to recognize that the decision-making process should include input from the patient's partner. Furthermore, any potential candidate must pass a rigorous evaluation before entry into active surveillance to ensure that a more aggressive tumor isn't missed. At the very least, this involves a repeat biopsy within a year of diagnosis. Patients can also undergo genomic biomarker testing or magnetic resonance imaging (MRI) to help confirm that their tumor has a low likelihood of being aggressive and potentially lethal. In my experience, these tests help reassure patients who are on the fence about considering surveillance. After entry into active surveillance, we know that patients generally do well but aren't always out of the woods, so to speak. About one-third to one-half of patients will go on to some form of treatment within 10 years of starting a surveillance program. The good news is that studies have shown that, in general, men who get delayed treatment are just as likely to be cured of their disease, compared with men who get immediate treatment. Though this means that a portion of active surveillance patients will still be at risk of side effects from treatment, it also highlights the potential to delay any detrimental impact from surgery or radiation to a later time. Furthermore, it also means that many patients will avoid treatment altogether. Again, sometimes the idea of not getting treatment for cancer can be hard to come to grips with. 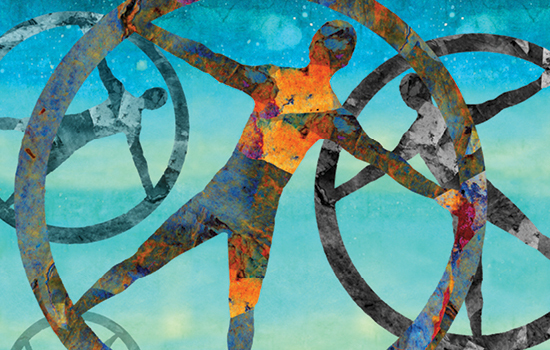 Many of my patients have found that resources offered at Winship, such as patient support groups, have helped them make the decision to pursue active surveillance. We now have nearly two decades of research and studies supporting active surveillance for men with less aggressive prostate cancer. I would recommend that newly diagnosed prostate cancer patients discuss with their urologist whether active surveillance would be right for them. If so, they should ask how they would be monitored, and what findings would result in treatment being recommended. In my practice, I try to clearly lay out the game plan for my patients entering surveillance, which helps minimize surprises down the road. In the end, this can be the better approach for many men with prostate cancer.